The garden is coming to the end of the growing season. Juice was made today from tomato, eggplant and celeriac. This is my first experience with celeriac.Two small chili peppers were added and the effect is apparent. Annotated pictures depict the process. 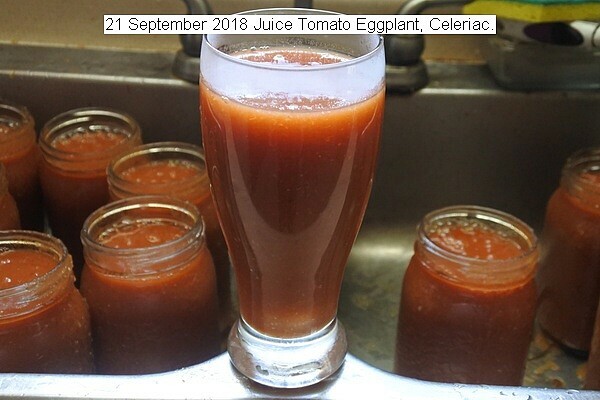 This entry was posted in Uncategorized and tagged 21 September 2018 Vegetable Juice, 21 September 2018 Vegetable Juice (Tomato, Celeriac and Eggplant). Bookmark the permalink.